Cloud hosted, flexible, meal ordering & registration solution designed for use in primary, SEN & Free Schools. Offered as two separate modules or combine them together. 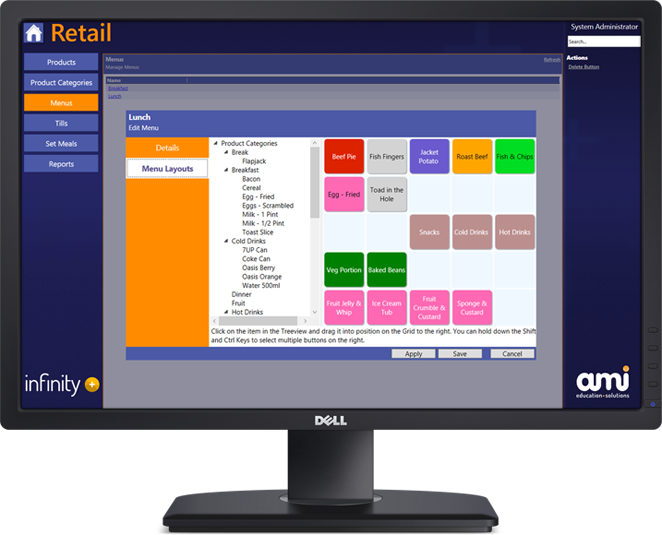 infinity+ is the most powerful and innovative cashless catering software on the market and is accredited technically by all major MIS systems.